A month or so ago I had a bit of a splurge in Neal's Yard Remedies. 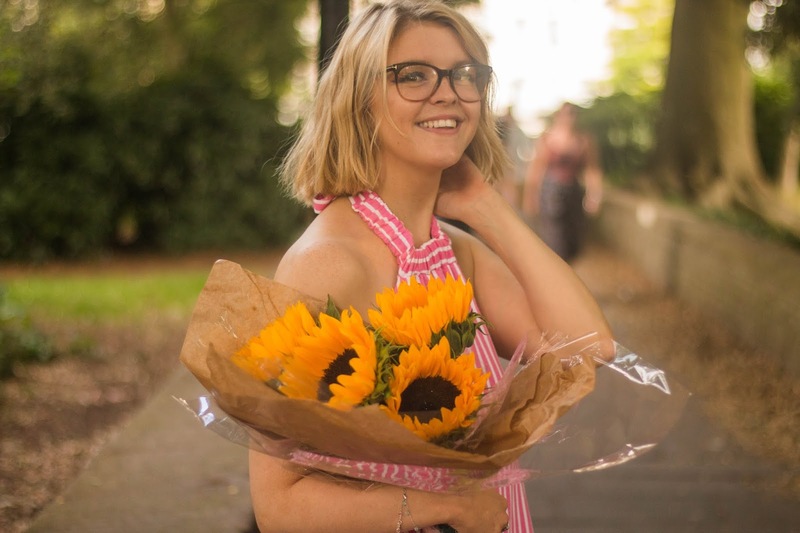 My skin was feeling crappy and I felt in a definite need of a updated skincare routine - so I found myself at the till in Neal's Yard on my lunch break, passing over my debit card for pretty much, everything that took my fancy. I probably spent more than I should have on skincare in one day, however, I think it's paid off. My skin is feeling the benefits, even if my bank balance did not. The Nourishing Orange Flower Night Cream (£25) - I'm really enjoying using this night cream. It's quite a thick consistency and my skin begins to feel sort of tight when I apply it, which I like, it feels as though it doing something. The scent is also nice, not too over-powering. Honey & Orange Facial Scrub (£16) - This is my least favourite of the products I purchased. It does the job, however, I feel it's a little rough for my sensitive skin and I'm not a fan of the thick texture. Orange Flower Facial Oil (£24.75) - I love this oil. It just leaves my skin feeling great. Aromatherapy Room Spray Calming (£17) - As I spent so much that I received a free room spray which is worth £17, which is, of course, great, and I will be buying this again. I'm really impressed with this room spray, a few sprites around the room and I do feel a sense of calm. It's not too overpowering, just enough, my only complaint would be is that the scent does not linger as long as I would like. With the majority of these bits I have gone for products which are aimed at people with dry skin (besides the room spray obviously, and the scrub), and I can clearly see how the condition of my skin has improved after using them for just a few months. My skin is a lot less dry and dehydrated. 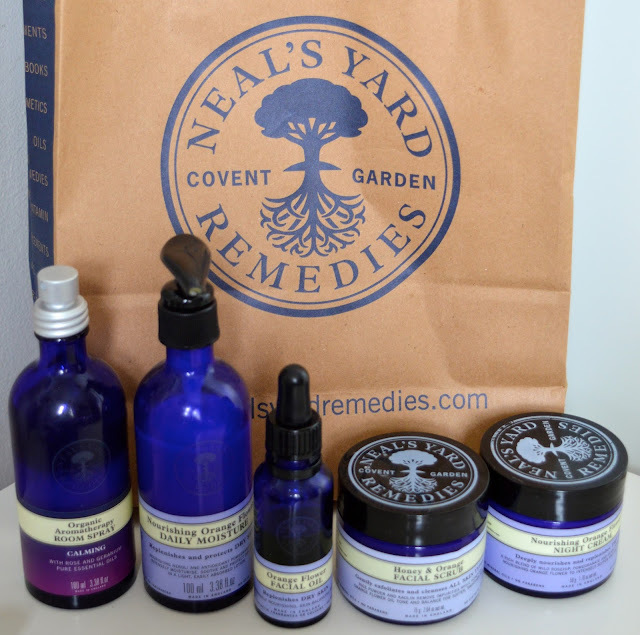 Plus the packaging is so lovely and luxurious on all of the Neal's Yard Remedies products, they look so pretty on your dressing table, which positive for me. I'm so pleased with all my Neal's Yard buys, and it's a brand I will be going back to, to either repurchase some of these bits or see what else they have to offer me. What's your go-to skincare brand?